Stella McCartney for GapKids Spring/Summer collection hit stores today. Have to say the collection was a lot less impressive that the Autumn/Winter in terms of colours and styles, though from the looks of it, the clothes appear to be selling just as well. I hope if they do collaborate again, the next season will be an improvement. Where we lived before had loads of room to move about in. We never noticed the baby/kids toys until we downsized and now we always seem to be tripping over a bike or scooter or some other item that has been played with and abandoned. 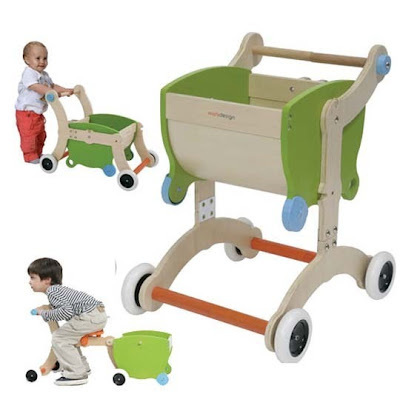 This 3-in-1 walker, shopping cart and tricycle from Italian company Mishi Design called the Grow Up would be perfect for our current situation. Rather than having each of these items cluttering up the place like we do now, we could have bought one which converts saving space and money. I also love the fact that the toy is made from wood and not plastic. And the overall design is cool too. During a particular season, certain items of clothing become ubiquitous, are seen everywhere and are knocked off by everyone. This is my prediction for the big summer sandal. I first saw it for sale on Piperlime.com and then became confused a few days later when the near exact version turned up at UrbanOutfitters.com. When Steve Madden starts producing it, you know the style has hit the mainstream. Growing up in the Caribbean in the 1970s, galvanize (corrugated metal) was a popular choice for roofing material and it continues to be used quite widely today. Imagine my surprise to come across such a chic use for it. The tub was clad with galvanize cut to fit and the panels finished with enamel. Total cost? A whopping $21. Amazing! 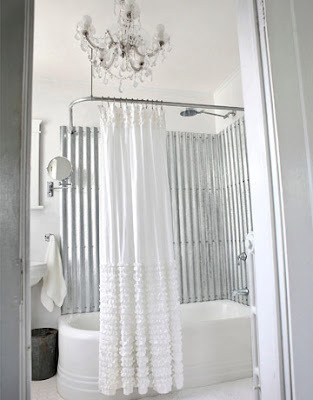 See more on the bathroom re-design here. I love the newborn baby market. So much unnecessary stuff you end up buying and only use for a few months at most. When our daughter was very young, we bathed her in a plastic tub – the kind you use for washing dishes in the sink. With babies you really don’t need much more than that and a tub you can use at waist-height rather than having to bathe a baby on your knees in a big tub, is quite convenient. However if the Spa Baby Eco baby bathtub had been around then, I might have splurged on one. It’s compact and convenient; a more stylish version of our plastic bathtub. The bathtub is also environmentally friendly as it is made from 100% recycled plastic. To me, it looks more like the traditional Japanese bathtub in that the baby sits in an upright position rather than being inclined on its back. It is also supposed to mimic the womb and thereby calm the baby, but how they can vouch for that I’m not sure! 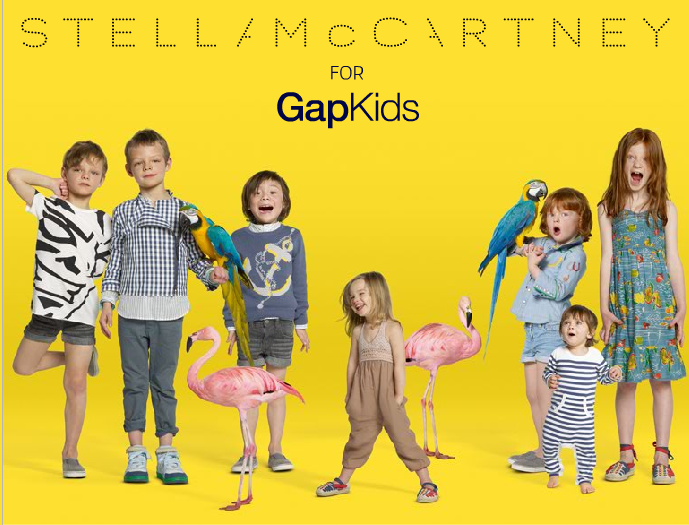 Although she had initially claimed it would be a one-off, it appears that Stella McCartney has designed a spring line for GAPKids. The line had its launch on today at Porchester Hall in London. I loved what she did the last time, so I hope this will be just as good. Find the entire list here. What kind of fashion blogger am I? 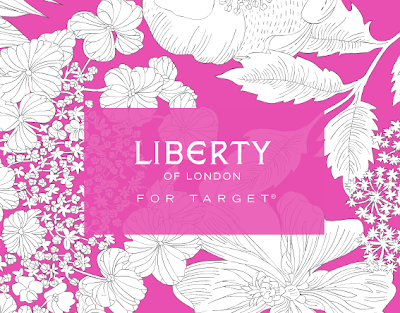 Despite marking the calendar, I totally forgot that today is the launch of Liberty of London at Target (yes another collaboration). The promos looked good, but the actual items for sale online were a little disappointing. All of the best women’s dresses were out of stock by the time I got there and I’m not sure I want to be head-to-toe in a Liberty print in any event. The girls’ dresses and rompers were still available and, in my opinion, more appropriate for the print. 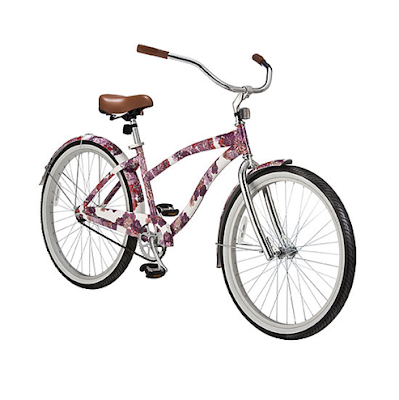 The bikes are beautiful, though. 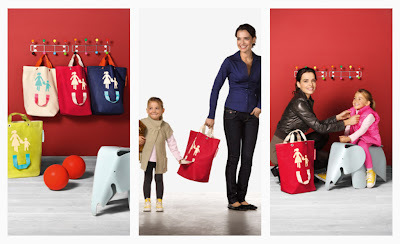 I like the idea of the Reisenthel Motherchild bag with its extra handle for your child to hold on to when you’re out and about. Good idea for keeping them close to you while you juggle with the shopping. I gave up wearing earrings a long time ago but in my opinion you can’t beat a statement cuff or two for finishing an outfit. Milly have done some beautiful ones this spring. I love it when fashion marketing people put their spin on things. I’m seeing lots of posts about the "soft" or "harem" pant (otherwise known as the less-glamorous "dhoti"). These pants have been around since last year and after holidaying in Spain and seeing several young Spanish women successfully pulling the look off, I purchased a pair. I can honestly say while they are extremely comfortable, I have never worn my soft pants outside the house. It’s a good thing they were cheap (or maybe that's the problem). Some of the more wearable are posted above. Crazy crotchtacular versions posted after the jump.